Brian was lucky to be able to sample the new Olympus E-620 during a Focus on Imaging session, but he did include a few portrait samples taken with the 50/2 mounted on an Olympus E-30. wow! this lens is unbelievably sharp wide open, and at f2 ISO 400 I could keep the shutter speeds high for great results. The Olympus 50mm f/2.0 photo gallery on Pbase serves up a random set of pictures, so you’ll need to hit the refresh button on your browser to serve up another set. For instance, I like this excellent child portrait (shot with an Olympus E-330) was taken with the lens wide-open at f/2. 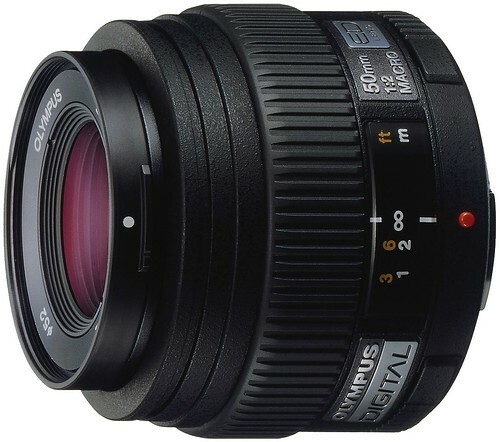 The filter thread size on the 50mm F2 macro is 52mm, which means you’ll want to be looking at purchasing 52mm filters. Official Olympus Zuiko Digital ED 50mm F2.0 Macro page at Olympus America.